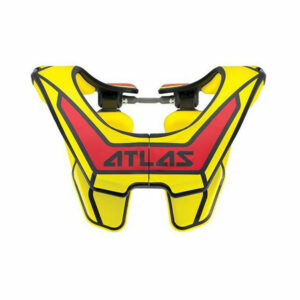 The BNS Pro is designed to help prevent injury in a crash situation by dissipating and diverting impact forces away from the neck and spine. 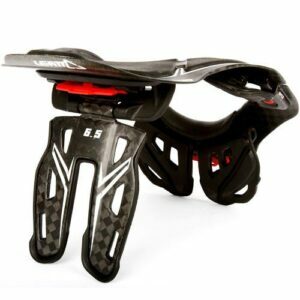 The BNS Pro functions when the rider’s helmet makes contact with the frame at the moment of a crash, thus providing a clean, solid surface which instantly channels damaging, compressive impact energy away from the neck and on to the BNS. 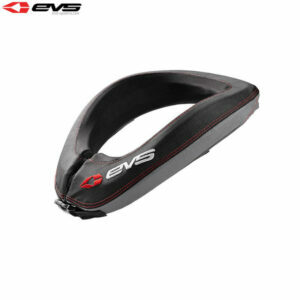 Primarily for use in motocross and off-road riding this protection device offers a highly personalized and stable fit while incorporating innovative new features such as a new quick release locking system. Thanks to its advanced material construction the BNS Pro is lightweight and strong. 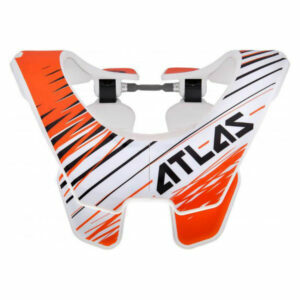 One mount, six positions, reversible to adjust size and choose from a -10,0,or +10 back support angle in either position. Racer designed, racer tested. 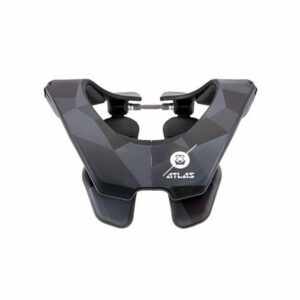 The Atlas Brace was born and fueled from the racer’s perspective. Designed by a racer and refined over a three-year period by a team of engineers and bio-mechanical experts, then tested by some of the top professional riders in the world. 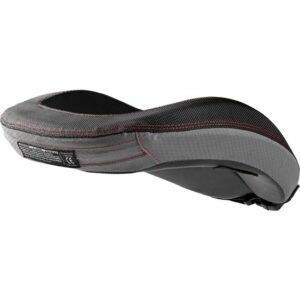 The end result delivers innovative features, comfort, simplicity and adjustability. 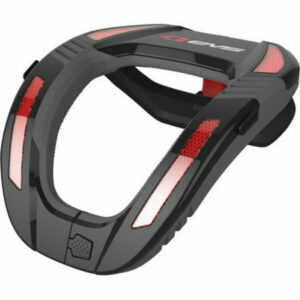 The R2 Race Collar is a lightweight, cost effective race collar that protects against neck and collarbone injuries. 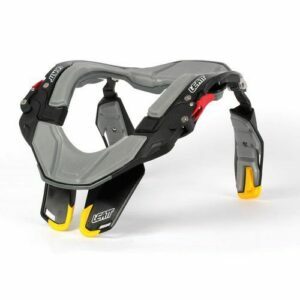 From the biomedical engineers and medical staff of the Leatt® research labs comes a 100% new neck brace for 2014. 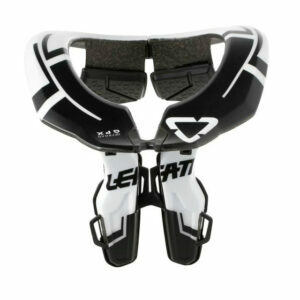 Leatt® believes that the 5.5 neck brace is truly the most technologically advanced neck brace in the world. 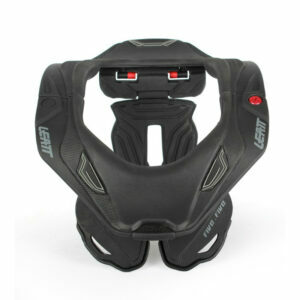 The CE-certified 5.5 neck brace balances the needs of comfort, effectiveness and safety by allowing greater freedom of movement and adjustment to more closely meet the needs of top level racers whilst Leatt®’s commitment to safety ensures that key safety features pioneered by Leatt® are built into each brace. 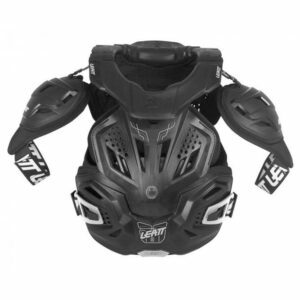 Known for innovative safety gear, the Leatt GPX 6.5 Neck brace is the next step in the ever popular line of Leatt neck braces. Based on the popular Pro Lite and 5.5 neck braces, the GPX 6.5 brace offers the latest innovations such as a new Maxiweave carbon matrix for increased rigidity and lower weight. 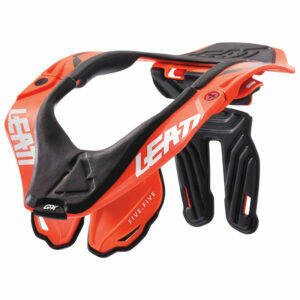 Leatt improved helmet side clearance and the striking platform so the rider’s helmet does not interfere with the brace. New on-board size adjustments make sizing the brace while on the rider easier than previous models. 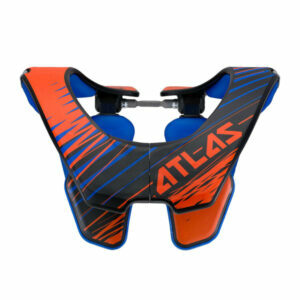 A non-flex chassis allows to stop and de-accelerate the head quickly reduces the risk of neck injuries. 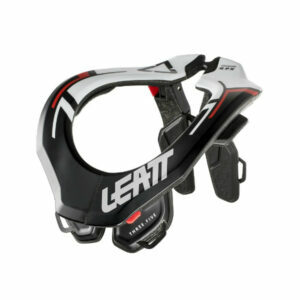 Weight is also where Leatt improved performance of the GPX 6.5 neck brace. Cutting the weight down allows for a sleeker profile that eliminates added heft, making this the lightest Leatt brace on the market today. Total adjustability is simplified by the all new single button release mechanism that is easy to locate and allows riders to take off the brace with minimal effort. 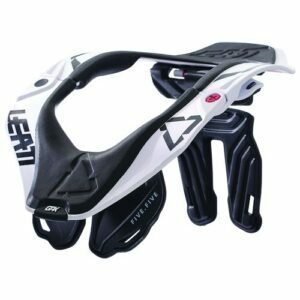 The Leatt GPX 6.5 neck brace now sits lower than the previous Pro Lite model , which now allows it to fit a wider range of riders by moving the frame away from the helmet. 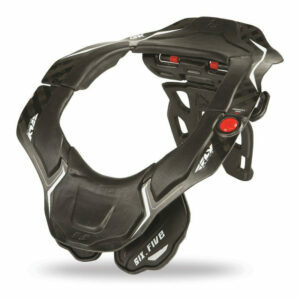 If you are looking for top of the line motocross protection, the Leatt GPX 6.5 neck brace is ready for you. The off-road GPX 5.5 offers premium protection that was designed not only with safety, but also with comfort and adjustability in mind. 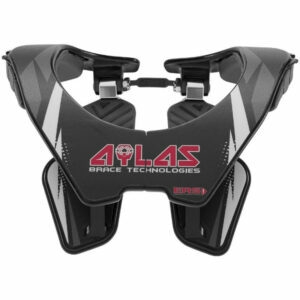 We believe that no other neck brace can be adjusted to fit riders as well as ours can, and while its semi-rigid chassis is adjustable the structure remains very rigid during a crash to help transmit energy during an impact. This is key for reducing neck forces and is referred to Alternative Load Path Technology (ALPT®). 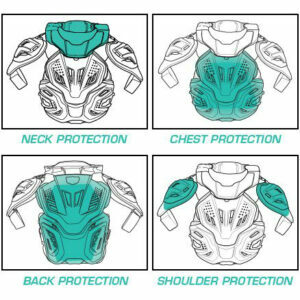 The collarbone cut-out also helps keep your helmet and neck brace away from your fragile bones during a crash. 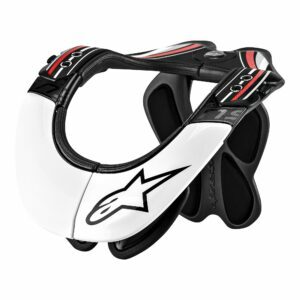 Intended specifically for adventure, street and commuting riders, the STX Road Neck Brace is designed to fit over your riding gear. 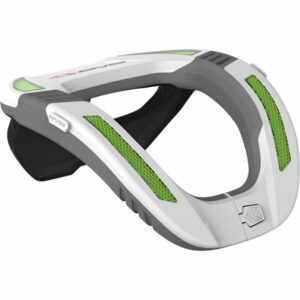 Making use of Alternative Load Path Technology (ALPT®), it helps to transmit energy from your helmet to your body, bypassing your neck – which is key for reducing neck forces during a crash. 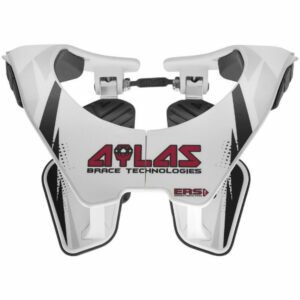 The twin scapula wings on the back can be adjusted to fit most body shapes, and the additional height adjusters on the shoulders accommodate different riders’ lengths. For your safety when riding, it has integrated padding that makes movement for over-the-shoulder views easier and more comfortable.